Last Friday, at the famous Mostafa Mahmoud mosque in Mohandseen, the preacher was stressing the importance of unity in his sermon. Later on, he elaborated that we should be patient with the new government and give it a decent chance to achieve our aspirations, and that we should work with the “ruling authorities” for the good of the country. While he mentioned those words, I could not but help see the muted anger on the faces of many. As soon as the prayer where over, the mosque was rocking with the chant “down down with the junta’s rule“. The march to Tahrir then commenced, and it was orderly, peaceful, powerful, and glorious. A year has passed since the Egyptian revolution began and despite the departure of familiar faces, the same old is system is very much intact. It just needed a bit of time to find construct a new rhetoric, exercise control on the media, and rebuilt is monstrous machinery of oppression. A year after the revolution, the economy is in tatters and the life of the average Egyptian is much harder. The security forces have shown increasing viciousness at curbing protests, but only marginal “improvement” in protecting life and property. The marchers to Tahrir believe that this system still must be fully dismantled and that could not happen while the ruling junta, aka SCAF, remained in power. However, Tahrir was not the marchers alone. The Islamists had been camping out there since Wednesday the 25th of January, not to demand anything in particular, but the to celebrate the “achievements” of the revolution. The Islamists, had a great to deal to celebrate. After having been marginalized, thrown in jail, and discriminated against for a very long time, they now have a parliamentary majority. Their spokespersons often imply that after the parliamentary elections all manners of protests are meaningless. They reason that since the people now have elected representatives, they should quite down and let parliament do its business. To many Islamists, voting means not just delegation by the citizenry in matter of politics, but fulling surrendering one’s political will to that of the elected representatives. The Islamists like to portray protesters as a threat to democracy, a sort of a mob dictatorship standing in the way of the will of the majority. Their ploy at “celebration” in Tahrir as far as I tell, was nothing more than an attempt show that they can “control” that symbolic square and that they could muster numbers that would would dwarf any non-Islamist gathering. That plan went awry. The turnout by the non-Islamist (a mix of liberals, leftists, and the ideologically neutral) was phenomenal on the 25th and also the 27th. As we entered Tahrir and crescendo of anti-SCAF chants peaked. The Muslim Brotherhood (MB), who have built a gigantic stage in Tahrir, have been for the past couple of days playing 50’s and 60’s era patriotic songs, many of them idolizing the army. Their “control” tactic as this point was to pump up the volume to the max to drown out the chants. When this tactic failed, they started playing the Quran and asked the protesters to quite down to respect the recitation of the holy verses. That highly cynical use of religion made the protesters more furious and many started waving their shoes at the stage in a manner reminiscent to how Mubark’s last speech was received. Scuffles ensued, at which point prominent MB members started to chant (for the first time) against military rule. The protesters responded by chanting “hypocrites”. Many, on both sides, managed to “cool things down” to avoid a violent escalation that could have spiraled out of hand. Drunk with new power, and obsessed with consolidating it, the MB (and Islamists in general) have successfully managed to fully alienate those were like brothers to them a year ago. Most protester can only interpret the Islamists’ behavior as reeking of dishonesty and betrayal. An increasing number of Egyptians are now growing immune to self-serving political agendas being piggybacked on religion. The revolution continues…. As I write these lines, members of the first “post-revolutionary” parliament are being sworn in. Most TV stations are calling it the “revolution’s parliament”. The process of democratic transition is almost complete. We should be seeing a new president being sworn in a six months or so, and we should be well on our way to becoming the largest democracy in the Arab world. The Islamists now dominate parliament, and that should take the sting out of their bitterness after decades of marginalization. A casual observer of international news would conclude that the world now is safer and more stable, with freedom and justice for all. A cause for celebration? Not really. We have endured decades of faux democracy and many of us are smelling the familiar stench of oppression in the air. I am not trying to imply here that the Islamists will be the new oppressors (although that is not entirely unlikely) or that Egypt is on its way to become another Iran, Afghanistan, or Iraq. Egypt is subject to a different set of dynamic forces that will push it along its own peculiar trajectory. Historical analogies are of little value in our current situation. There are over ten thousand Egyptians who are locked up in prison after kangaroo (aka military) trials, while the ones involving Mubarak and his coterie are proceeding at a snail’s pace. Those thousands are placed in military prison facilities that are beyond dreadful. 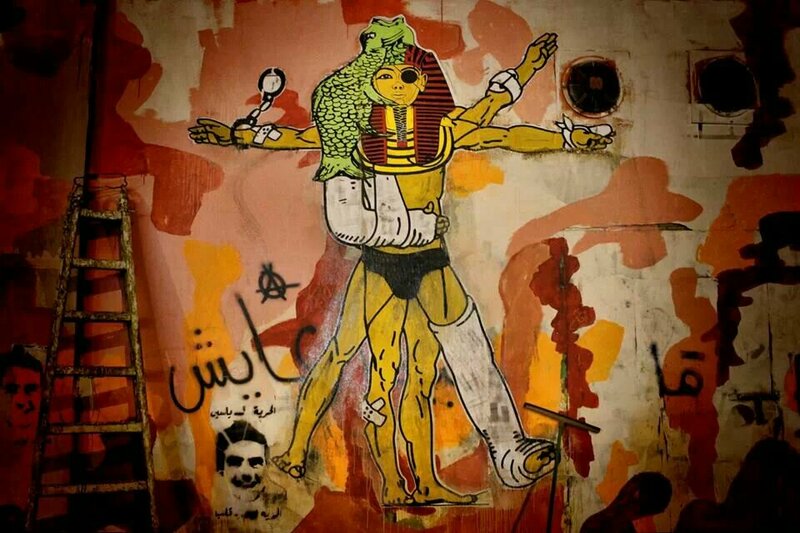 Activist and groups the where at the forefront of the revolution are being targeted by SCAF. Some of the have been imprisoned, others “temporarily detained”. Many of the families of the martyrs of the revolution are left without any form of support despite promises to the contrary. Many of the wounded have been denied proper medical care. Many of the wounded and the families of the fallen have been subject to threats and have been offered “blood money” to stay hush about all the atrocities the have been committed. SCAF had conducted a Goebbelsian propaganda war against protesters, shifting the blame on them for all the ills of the country and accusing them of being agents of unidentified foreign powers. Coptic Christians and have been subject to numerous attacks on their houses of worship. The perpetrators of the attacks were seldom prosecuted. Thirty protesters were killed during a peaceful demonstration against this injustice. Furthermore, the SCAF controlled media incited violence against the Copts during the protests. Protesters have been dragged into violent confrontation with security forces in November and December, resulting in the death of over fifty five and the maiming of countless hundreds. All SCAF promises for a swift investigation of abuses by security forces since Feb 2011 have been reneged. No serious effort has been put in chasing Egypt’s billions that have been siphoned by the ruling cleptocracy. Thanks to SCAF appointments almost all the mayors of Egypt’s governorates are either ex-military or ex-police. Over the past ten month many key position in various ministries have been taken up by ex-military men. It is becoming patently obvious that SCAF never wants to be held accountable to the people. It will meddle with the process of “democratic transition” to achieve that end. Electoral law prohibits the use of religious slogans in political campaigning, but the rules were flaunted by the Islamists with SCAF’s apparent blessing. The Islamists relied heavily on their platform in the mosques for political campaigning. This reeks of “special deals”. In Feb 2011, SCAF promised a swift plan for full democratic transition with a deadline of six months. They are six months behind schedule and the date for “full” handover may even slip if not for the continued pressure for the protestors. And Finally, members of parliament are swearing to uphold and protect an ambiguous constitution (there are doubts if it is SCAF’s constitutional declaration, the seemingly defunct/amended 1971 constitution, or the one they will help draft). We will not settle for nothing but genuine democracy. We can not build the foundations of a new Egypt on lies and deception. The revolution continues.